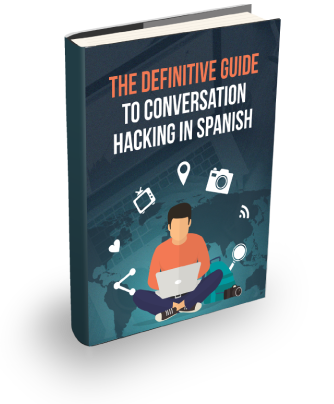 Learning how to be conversational in Spanish is a great goal and well worth the effort. The process can be broken down and in many ways it simply comes down to your ability to stick at it. But you can add some deliberate process to getting there faster. There are around 100,000 words in the Spanish language but not all of them are as useful as others. Some words get used more often and in particular there are a small group of words that get used for almost 90% of spoken Spanish. 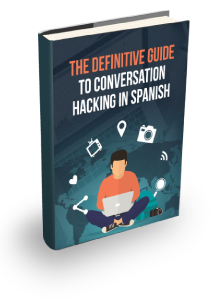 There was a recent study (Vocabulary Range) that was conducted in 2005 that demonstrated that around 1000 Spanish words will give you enough vocabulary for 87.8% of all spoken Spanish. There are, however, diminishing returns as the next 1000 will only give enough vocabulary for 92.7%. Focus on learning the right words and you can speed up the process by short cutting the majority of the vocabulary acquisition. Try to avoid spending a lot of time on understanding all Spanish grammar. Hours can be spent memorising a heap of different conjugations, but like vocabulary they aren’t all created equally. There are difficult tenses such as the subjunctive which can be a challenge to learn as you effectively double the amount of conjugations you need to commit to memory. But, like the diminishing returns that exist for vocabulary, there are verb conjugations that get used far more often in spoken Spanish. It is possible to communicate without the subjective so again avoid extra work if you want to be conversational quickly. Listening comprehension is a skill that does take a little longer and is difficult to short cut. The key to improving your listening comprehension is massive exposure and active listening training. Passive listening, as opposed to passive listening, is where you just listen to the language without any interaction. Active listening on the hand is where you listening to a passage and then respond to what you here by answer questions. There are a lot of options for both passive and active listening training out there – the best form of active listening is actually having a conversation with a real person. But if you aren’t ready for that there are a lot of software training options out there. Conversation skills extend far beyond just vocabulary and grammar. I would be remiss if I didn’t include rapport building when comes to developing your conversational skills in Spanish. Rapport building works the same in all languages and revolves around exchanging pleasantries, asking questions, offering opinions, giving advice, keeping eye contact and finding common ground. Of course the challenge is converting your rapport skills from you first language to your second but with a bit of practice this can be developed easily. When I was first practicing Spanish, I used to have a really bad habit of looking at the ground as I was thinking about the words I wanted to say. A good friend of mine pointed this and out and said keeping eye contact even if you are making mistake. If you are lacking confidence it is still far easier to be understood if you are looking at someone in the eye and speaking confidently. Try to avoid practicing in your own world and remember you need to get your ideas across even if they aren’t perfectly articulated. Paradoxically, this last step of becoming conversational in Spanish is both the easiest and most difficult. When we are babies we start by crawling then standing then walking then running. When we enter adulthood there is pressure to go straight from sitting to running. It takes time to get to a decent level in Spanish and it takes a lot of falling on your behind. Of course it is easy to go out and make mistakes because you skills aren’t good enough yet for high accuracy. But you don’t want to be embarrassed and you don’t wont to look silly – so you decide it is far easier to not make mistakes at all. Fail fast and fail often. When you are out there making mistakes you are learning. The more you can put yourself in this position the faster you can accelerate towards your goals. So how do you develop your conversation skills?